Frivolous, an 8-year-old dark bay mare bred and owned by G. Watts Humphrey, Jr. and residing at Humphrey’s Shawnee Farm in Kentucky, will be on the roster of featured horses for the National Museum of Racing and Hall of Fame’s Foal Patrol Season 2, which will debut online Dec. 28 at www.foalpatrol.com. The first season of Foal Patrol, a one-of-a-kind collection of live cameras following the daily activities of in-foal mares, had more than 1.6 million views from December 2017 through September 2018. Frivolous joins Silver Colors (Gainesway Farm), With Honors (Claiborne Farm), Love and Pride (Three Chimneys Farm) and Comme Chez Soi (Old Tavern Farm) in Season 2. More horses will be announced throughout the month. A daughter of Empire Maker out of the Belong to Me mare Sixty Rockets, Frivolous was foaled on April 22, 2010. Trained during her racing career by Victoria Oliver, Frivolous broke her maiden on June 28, 2013 at Churchill Downs. A multiple graded stakes winner, Frivolous won the Falls City Handicap (G2) as a 4-year-old in 2014 and the Fleur de Lis Handicap (G2) the following year. She also won the listed Locust Grove Stakes in 2015. Frivolous was retired after her 5-year-old season with a career record of 5-4-3 from 24 starts and earnings of $750,718. 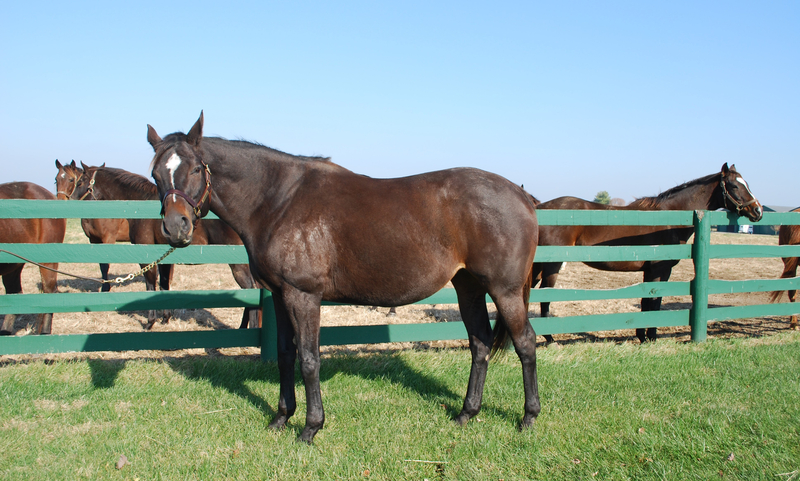 Frivolous is in foal to Candy Ride with an expected due date of March 28, 2019. 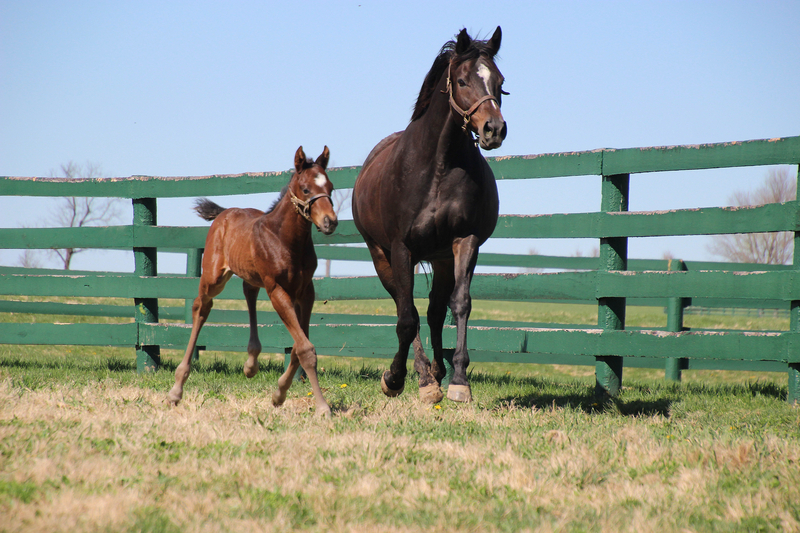 Frivolous and her colt are doing well at Shawnee Farm. Frivolous19 has some bandages wrapped around his legs so we asked for some clarification. Randy Gilbert, Manager of Horse Operations shared that Frivolous19 has bandaged legs to help them relax as his tendons have gotten a bit tight. The farm staff is monitoring him to ensure healthy progress occurs. Stay tuned for more updates! Frivolous 19, our first colt of Foal Patrol season 2, is here, healthy and standing. Frivolous was calm and collected during delivery and the staff at Shawnee Farm did a great job of caring for them. Here is a video of the foaling last night. They wil be moving out of the foaling stall and back to the stall with the camera this afternoon. Stay tuned as they get to know one another and adjust to their new schedule as mom and baby! Congratulations Shawnee Farm. Frivolous delivers a colt! from National Museum of Racing on Vimeo. Frivolous delivered the first colt of Foal Patrol season 2 at 12:05 a.m. this morning. Both mare and colt are healthy and well. She delivered in the secondary foaling stall without live streaming coverage but we will upload a video recording of the delivery later today.